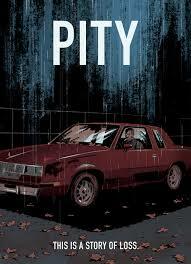 PITY is Directed by John Pata, Written by J.R. Hayes and adapted by John Pata (Head Trauma Productions). Do you know someone who has lost something so essential or have you ever hit rock bottom? A time in your life where the pain is so great from a source that was so close to you on every level… Those moments you wish would never come to anyone but in the same breath are a welcomed release to yourself down deep in the dark parts of your being. Finding a personal connection and understanding of dealing with the darkness, John Pata (Dead Weight) brings the encompassing dark tale of PITY, his latest short film.